At KAP Motor Group we stock a huge range of new and used vehicles at branches all over the South East in Folkestone, Eastbourne and Brighton. 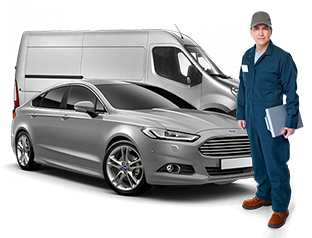 If you’re after a garage with every capability of a large nationwide chain but with the passion and care for customers you receive from a family run business, KAP was made for you! Founded as a Panel Beaters by Dennis Furneaux over 60 years ago, it has continued to grow whilst keeping true to its key beliefs. Now being run by his son Garry their aim is still to: “Provide a level of service that will ensure you will return again and again, bringing your friends along too." Car is great, just like their service. Special thanks to Jon and Reece. Hi ! a big thank you to Angus who remaped my car today! a thoroughly professional and friendly service.The car is amazing now.Would highly recommend to anybody looking for a more spirited drive !.I'll be back soon for a rolling road session and air filter upgrade. I would just like to say what great service I received form Brighton Suzuki, I have purchased many cars in my time and must say this was the best experience I have ever received, thank you Paul and Gareth. I would defiantly recommend your garage to all my friends and family, once again thank you for great service, I am also on your Facebook which is great to see John Maloney. 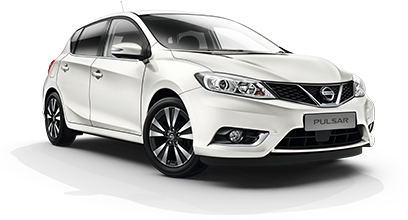 We have been buying our Nissan vehicles from the Fokkestone Branch of KAP for over 40 years now. On this occasion we have have just taken delivery of our new Micra Techna. The Service from both David & Henry has yet again been superb, making the handover of the new vehicle not only seamless and smooth but a pleasure. We cannot speak highly enough of the efficiency of all concerned at this Branch. Thank you all. Received excellent customer service at KAP Folkestone, I would like to thank John for making the collection of my 1st ever new car a wonderful experience, the car is great and I highly recommend you. I had the good fortune to be recovered by your company on Sunday the 5th of August. Whilst the situation was very traumatic for my wife and myself your service was brilliant. The driver was great and a real asset to you guys . I didn't catch his name bu he was polite, helpful and considerate we couldn't have asked for a better recovery. Many thanks to you and particularly the recovery driver regards. Thank you to KAP Folkestone and for getting my car repaired and back to me in under three hours yesterday. Excellent service, as always. A few days after my first contact with Shaun Whittle at KAP Suzuki in Brighton, I was driving away in a fabulous new Suzuki Celerio. I got by far the very best price in the country. Great Car! Great Deal! Great Dealer! Great Salesman! What more could anyone ask! ***** 5 Gold Stars! Recommended. I had an mot at kap old shorham road, hove. Despite being a very busy day and a mix up with my appointment, Andy was fantastic he sorted my car out whilst juggling numerous other jobs and training a new employee. Great alloy wheel refurbish service with a great price and they even washed and vacuumed the car! George from the bodyshop was extremely helpful and professional. Would recommend. I have been taking my car to your Folkestone Branch now for about 3 years. If I have ever had a concern it has always been sorted both efficiently and professionally. However I would like to inform you that the team in Folkestone deserve a special Thank You for their attention to detail and customer service approach. I am always left feeling completely assured that I am making an informed decision regarding required work. I am kept informed of any changes to pre agreed works prior to actions. It is essential today that all sectors are transparent in their customer service and I am please to say in my experience of KAP Folkestone. Thank You. Brilliant service, courteous, reasonably priced and very friendly service. Once again thanks for your prompt attention. Patrick Heaney. Thank you for the excellent service today. I was impressed by the speedy response to my slight emergency, the careful advice I received and the attention to every aspect of the service provided. I would like to say how impressed I was with the service I received, as I always am. All your staff are so helpful, professional and efficient! I was completely satisfied and will definitely recommend you to friends and family. I have also previously hired motors from you where the service was 1st class, I have used a local cheaper hire car firm but will always return to you if the need arises again.